Since WordStream was founded in 2007, we have worked tirelessly to help small businesses grow through paid search advertising. Over the years, we have worked closely with Google to stay on top of new trends in PPC and developments in online advertising technology. Our relationship with Google has allowed us to constantly improve our software tools, offer businesses and agencies the most intuitive, responsive experience possible, and consistently increase our clients’ return on investment. For these reasons, in early 2015, WordStream was named a Premier Google Partner, joining a small group of rigorously chosen companies. Here’s what WordStream’s recognition as a Premier Google Partner means for advertisers, and how we can help you grow your business through paid search. Who Are Premier Google Parnters? Premier Google Partners are organizations that have extensive AdWords expertise, offer high-quality services and assistance to AdWords advertisers, and help small- to medium-sized businesses grow through paid search advertising, meeting Google’s highest standards in serving customers. Premier Google Partners help advertisers during every stage of their online advertising journey, from helping set up accounts and establishing optimal overall account structure to providing ongoing optimization suggestions and attentive, quality support services. Why Should You Choose WordStream as Your Premier Google Partner? There are many companies that offer paid search services. However, only Premier Google Partners have been officially recognized by Google as providing superior tools, products, and advice. This means that when you choose WordStream as your online advertising management solution, you can rest easy in the knowledge that WordStream’s products and services meet Google’s highest standards. We have also won multiple awards from Google, including the first Google Channel Sales Platform Innovator Award and the PSP Innovator Award. In 2015 and 2016, we were also named the Google Growth Champion, an award for the fastest-growing Google Partner in the North America region. 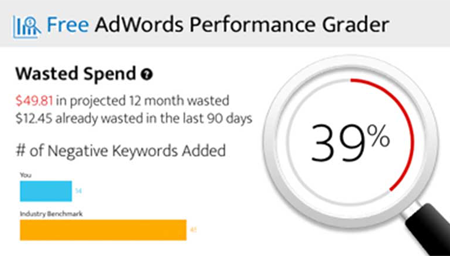 In-Depth AdWords Expertise: All of WordStream’s Customer Success Specialists are Google AdWords certified, meaning they can offer you professional insight into the performance of your AdWords account and proven suggestions on how you can further increase your return on investment. Full-Service Campaign Management: Many small businesses struggle to set up an AdWords account efficiently, a common pitfall that can lead to complications further down the road. By selecting WordStream as your paid search management partner, you can expect comprehensive support in managing your account from highly skilled and knowledgeable AdWords-certified professionals who are ready to answer your questions and help you optimize your account for maximum return on investment. Regular, Transparent Reporting on Account Performance: Data is great, but too much data can actually paralyze you. As a Google Premier SMB Partner, WordStream can help you set and meet goals that matter to your business, cutting through the noise so you know where to focus. Dedicated, Ongoing Support: WordStream understands that every business has different needs, which is why we place so much focus on providing our clients with individualized support. Our Customer Success team is here to help you succeed. From simple questions about account metrics to detailed advice on how to leverage new AdWords features, WordStream can help. WordStream’s mission is to simplify the world of paid search advertising and make it as easy as possible for you to expand your reach, increase sales, and grow your business with PPC. As a Premier Google Partner, we are in a unique position to offer you the very best software tools, advice and support, and AdWords expertise to let you focus on what really matters – growing your business.